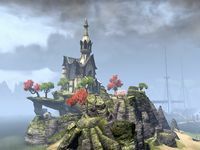 The South Beacon is a lighthouse in southern Auridon, northwest of the city of Vulkhel Guard. 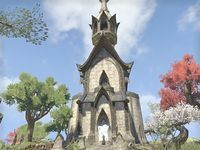 It monitored the strait between Auridon and Summerset, but has recently been taken over by Maormer pirates, who are using the beacon to guide raiding ships through Auridon's reefs. Captain Ciranya was responsible for defending the lighthouse and was taken prisoner by the Maormer along with her men. South Beacon Objective: Disrupt the Maormer invasion of South Beacon. This page was last modified on 31 March 2018, at 17:50.